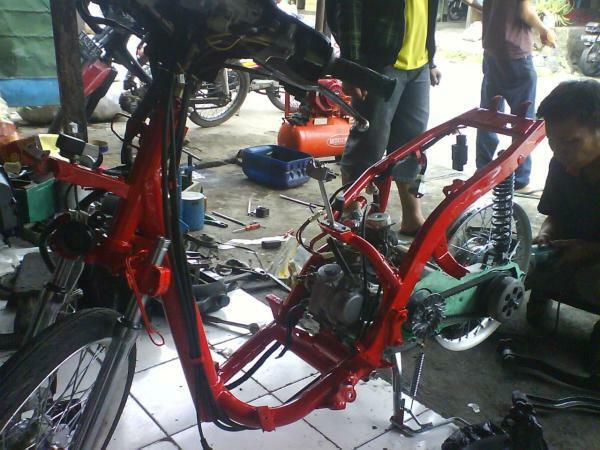 in a workshop a motorcycle automatic yamaha mio is being modified by the profesional, the motor velg is has changed to be a duck standart motorcycle, the size more wide than the automatic scootermatic before. so that the tyre must be changed too. 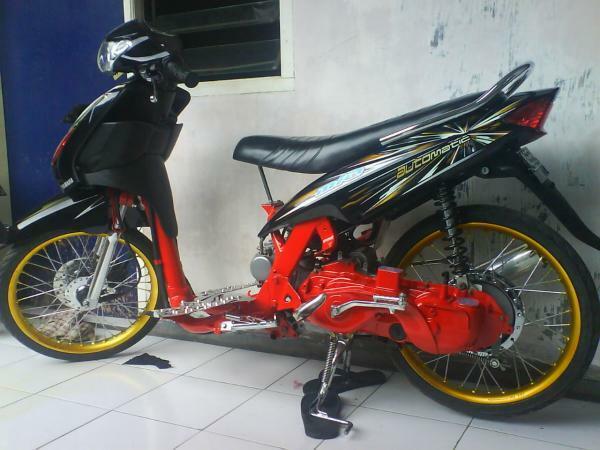 modification yamaha mio is done. the motor cycle is looks more cool and the machine has changed the color bay airbrush art paint to be the red colour. the motor looks cool. tag : Extreme, concept, Automatic, airbrush, modification art, motor cycle contest, motor treatment, Scooter Matic, Yamaha.